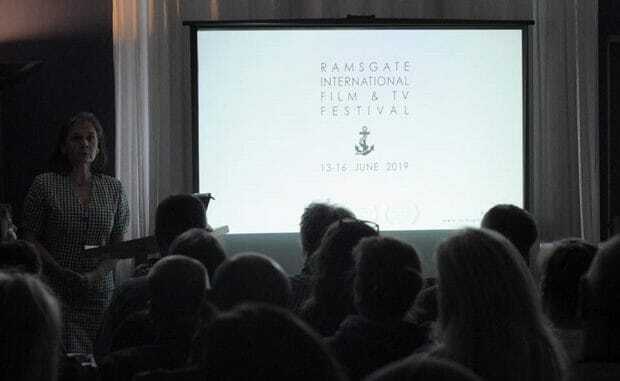 A crowded room of film, TV and marketing professionals from Thanet met to launch the 5-star rated Ramsgate International Film and TV festival at the Falstaff Hotel last Thursday (June 28). Sponsored by multiple award winning actor and festival patron, Brenda Blethyn, local stars from the TV andfFilm world heard about the ambitious plans for next year’s festival and discussed how they could support it. The festival, which is now in its third year, has had sell-out crowds to many of its films and talks. It has previously attracted big names in the industry from Thanet and across the globe including; BAFTA nominated composer Simon Boswell, BIFA winner Jan Dunn, Carry On, Hammer Horror and James Bond actor Valerie Leon (pictured below), Oscar and BAFTA nominated costume designer Tom Rand, Oscar film distributor Andy Mayson, Hollywood PR Gary Springer, and Shorts International distributor Simon Young. Next year will see an increase in the number of award categories and more than 70 films and music videos will be screened. The event will also include 10 workshops and virtual reality and augmented reality exhibits for the first time. 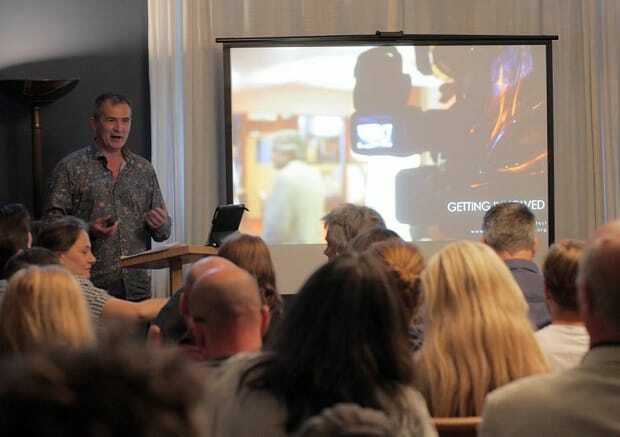 A recent report commissioned by Thanet District Council and Kent County Council showed the Isle of Thanet has seen an 84% growth in creative businesses over four years, including a 160% growth in film and TV businesses. Visit Kent’s figures show Thanet is the country’s fastest growing tourist economy. Speaking at the event festival chairman Rob Kenyon (pictured) said: “As a booming location for film and media shoots, and home to a fast growing TV and film sector, we believe that Ramsgate and the Isle of Thanet is ideally placed to host a thriving independent film festival and to benefit the local economy as a whole.